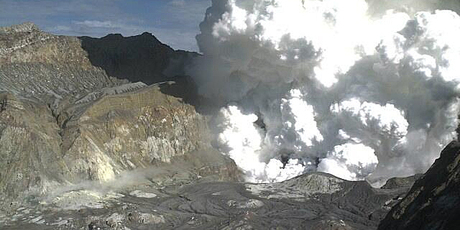 A photo of White Island this morning from GNS. WHITE Island sightseers are being warned another eruption could occur "at any time with little or no warning''. The warning followed a small eruption at the island at 10.23am today. 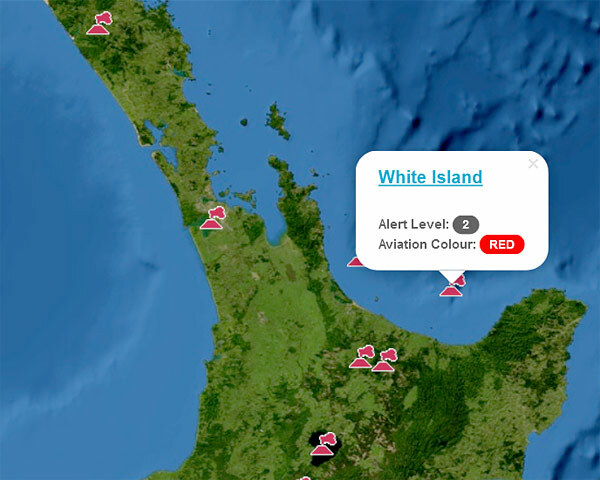 Bay of Plenty Civil Defence Emergency Management has downgraded the emergency status for the White Island eruption from red to yellow. Group spokesman Clinton Naude said the eruption appeared to have lasted for about 10 minutes and produced mainly steam. Civil Defence was still monitoring the situation which arose from a GNS Volcanic Alert Bulletin sent out this morning. "Based on GNS's advice the main risk from any activity is to people visiting the island,'' Mr Naude said. Civil Aviation Authority spokesman Matthew Shore said no advisory warnings had been issued to aircraft. Air New Zealand spokeswoman Brigitte Ransom said the volcanic activity had not affected the airline's operations. GNS Science confirmed the smoke was part of a "small eruption" on the island. It upgraded the aviation risk over the island to red, meaning it is unsafe to fly in the area. A red-level aviation risk means an eruption is imminent and significant ash is expected to be emitted into the atmosphere, according to GNS Science. The volcanic risk for White Island was raised to level two - meaning a minor eruption is in progress. GNS Science volcanologist Craig Miller said the eruption could be part of a sequence leading to a bigger volcanic event. White Island has experienced several minor eruptions over the last year and volcanologists have found magma "very near" to the surface of the volcano, he said. "I don't think we could rule out future events at all..
"We're not expecting it to stop in the next day or two. The question is whether this is ramping up to a bigger event. That's something we'll be discussing amongst ourselves and alerting the public to once we've made our conclusion." Miller said an eruption was unlikely to affect the Bay of Plenty - though it would be dangerous to anyone on White Island. Eruptions on the island could happen at short notice, leaving tourists with no time to evacuate, he said. "It could be the one day that it goes suddenly wrong and you have very little time to prepare for it or do anything about it once you're out there." This morning's eruption would not trigger other volcanic events at nearby areas such as Mt Tararewa, Miller said. "White Island pretty much acts independently." A group aboard one of the White Island Tours boats got to see the volcano erupt from a mile and a half away this morning. White Island Tours marketing manager Patrick O'Sullivan said the skipper of the tour boat realised there was more activity than usual and headed to the crater side of the island. "They were parked a safe distance away and watched the eruption. Those on board could see a small amount of ash and rock in the eruption but within 10 minutes things were back to normal out there,'' Mr O'Sullivan said. While the passengers would not be taking the guided tour over the island, the boat was staying out at sea while they had their lunch and went on a scenic sea tour. Mr O'Sullivan said it was almost a year since the last time White Island recorded a small scale eruption although there had definitely been raised activity during the past 12 months. While admitting to not being a scientist, Mr O'Sullivan said he believed the bouts of raised activity to be like a pressure cooker. He said it would be business as usual for White Island Tours tomorrow unless GeoNet instructed otherwise. Clinton Naude, regional manager appointed for Bay Civil Defence, said activity on the island was being monitored by staff. 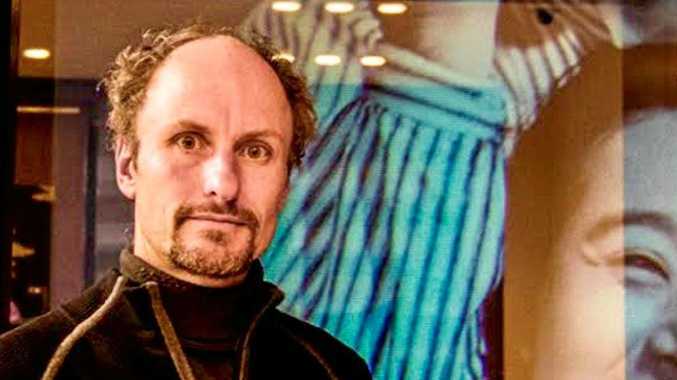 "What we normally do in these situations is get in touch with the tour operators then keep a close eye on what the island is trying to do,'' Mr Naude said.